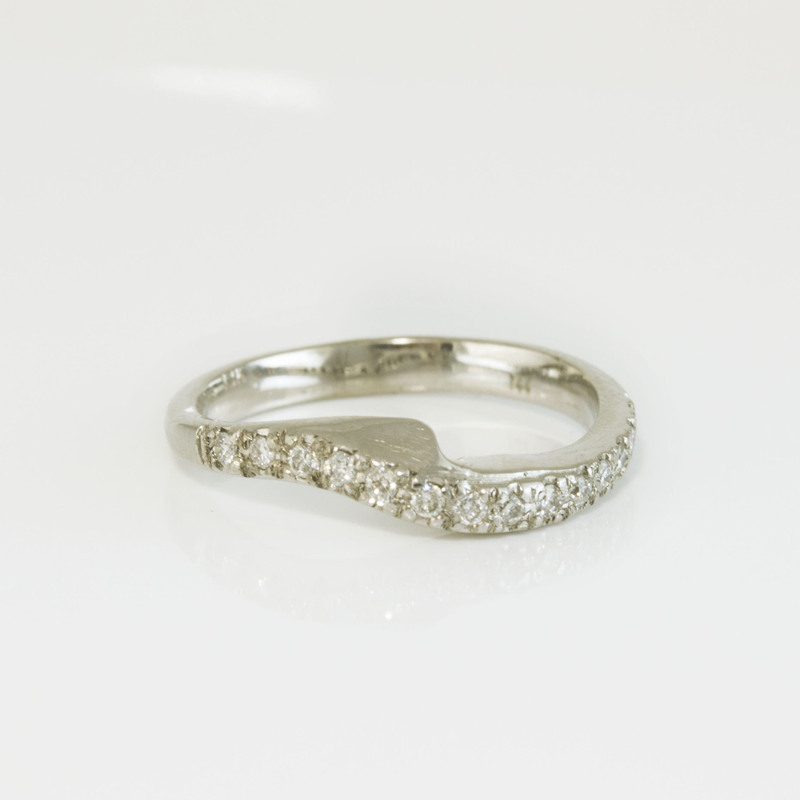 18k White Gold Wedding Ring fitted to sit neatly against your engagement ring. 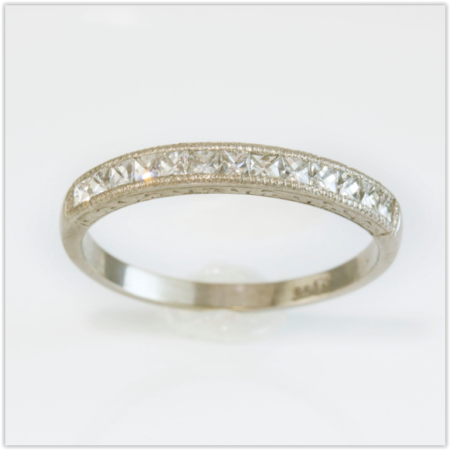 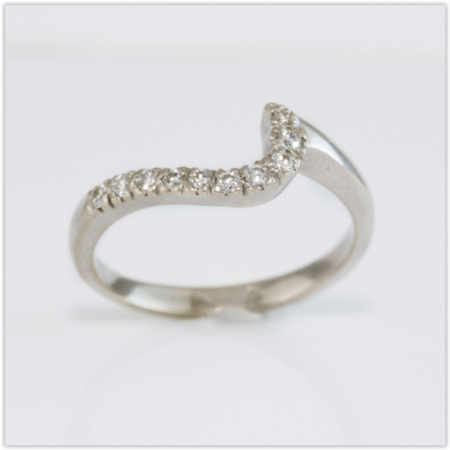 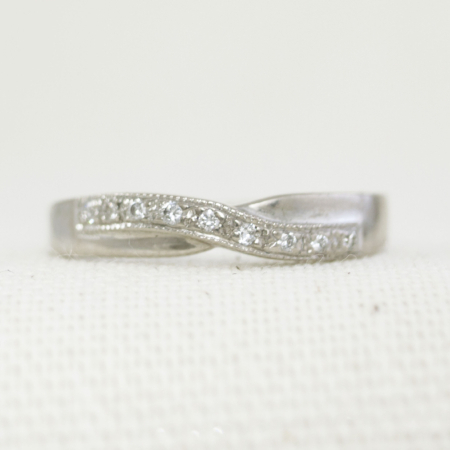 We custom make each fitted band by taking a mould of your engagement ring so that we can shape the curve on your wedding ring to fit exactly next to your engagement ring. 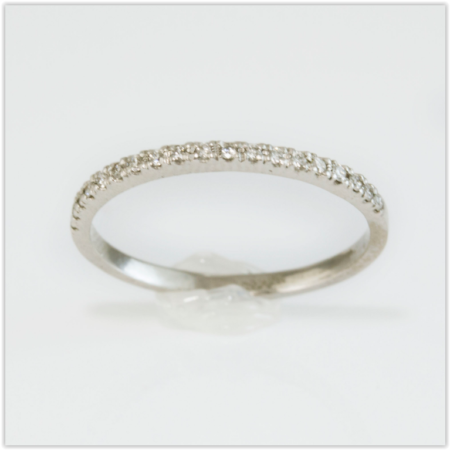 This is don’t to ensure the two bands don’t twist and rub against each other causing damage. 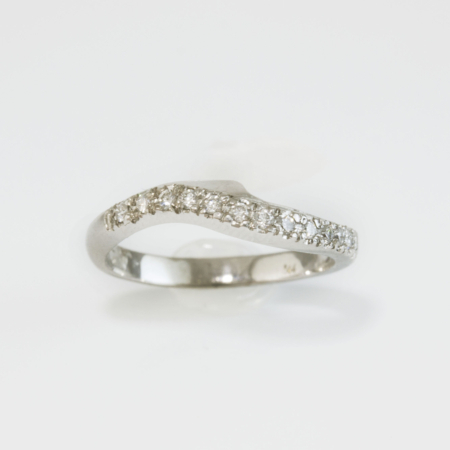 Customised to fit your engagement ring.